Elisa Wallace and Reloaded Are Your 2018 Thoroughbred Makeover Eventing Champions! Elisa Wallace and Reloaded, 2018 Thoroughbred Makeover Eventing Champions. Photo courtesy of the RPP Thoroughbred Makeover. 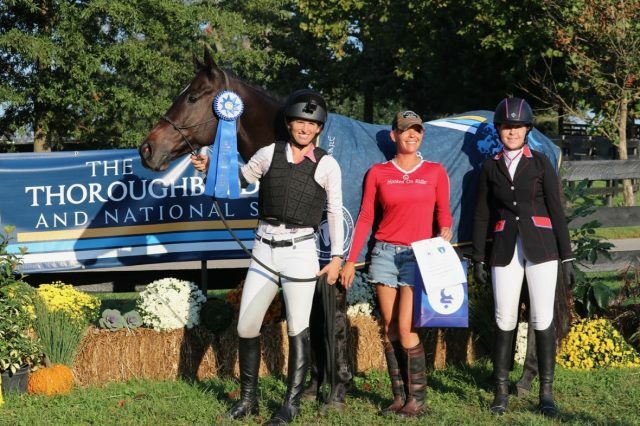 Bright and early this morning, five OTTBs out of a massive 99-horse field advanced to the 2018 Thoroughbred Makeover eventing finale, and ultimately it was Elisa Wallace and Reloaded who came out on top. First things first, though, let’s take a moment to appreciate the effort that each and every participating trainer put into making a real difference in a lucky Thoroughbred’s life, this week’s competition being simply the icing on the cake! Reloaded. Photo courtesy of Elisa Wallace. 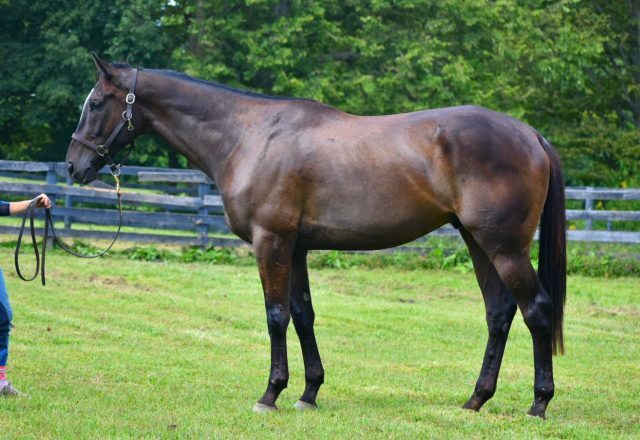 #1 (total score: 2015.11): Elisa Wallace and Reloaded, a 2013 15.3-hand bay gelding (Magna Graduate x Curious Cat, by Tale Of The Cat) owned by Michelle Chisholm. Bred in Kentucky by Elisabeth H. Alexander, he won $20,177 in 19 racing starts. They also finished 17th in the Freestyle. 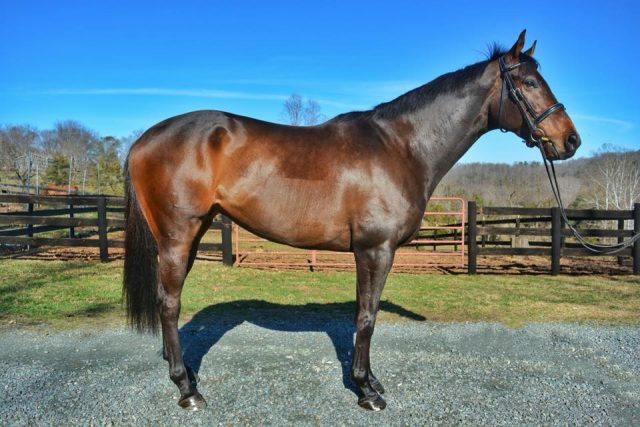 Elisa is a Thoroughbred Makeover veteran and has long been a champion of OTTBs, inspiring us with their journeys from track to start box. We look forward to following Reloaded’s career! Check out this cross country helmet cam video of the pair competing in Open Novice at Stable View last weekend. Big Ralph. Photo courtesy of Alison Wilaby. #2 (total score: 203.41): Alison Wilaby and Big Ralph, a 2014 17-hand dark bay gelding (Arch x Oregon Lady (IRE), by Shamardal) owned by the rider. Bred in Kentucky by Blue Heaven Farm, LLC, he won $14,522 in 12 racing starts. They also finished 17th in the Freestyle. This is Alison’s second consecutive year as reserve eventing champion, and it’s an honor well earned. Watching her lean down to give Big Ralph a hug after their round, it was clear that the real reward for Alison isn’t a ribbon but the positive change made in the life of a horse. I’malreadythere. Photo courtesy of Rosie Napravnik Sharp. 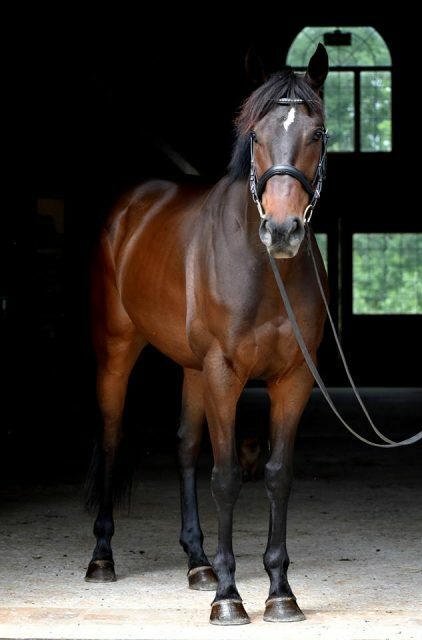 #3 (total score: 201.36): Rosie Sharp Napravnik and I’malreadythere, a 2013 16.1-hand bay gelding (Crown Of Thorns x Wildfire Ruby, by Wild Event) owned by the rider. Bred in Florida by Thomas J. Lane DVM, he earned $185,911 in 24 racing starts. Of course, Rosie is quite the off-track success story herself! After a monumental racing career, it’s great to see her giving back to the horses and the sport. Sharp Johnny. Photo courtesy of Elisa Wallace. 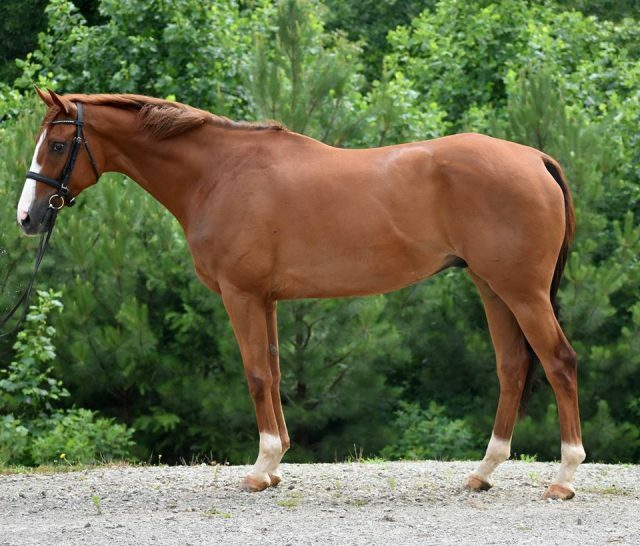 #4 (total score: 201.36): Elisa Wallace and Sharp Johnny, a 2011 16.1-hand chestnut gelding (Sharp Humor x Reigning Princess, by Storm Boot) owned by Susan Day. 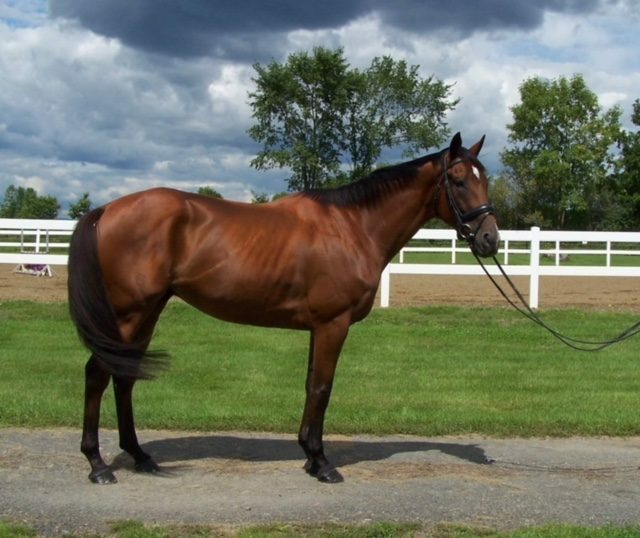 Bred in Kentucky by Sparks View Farm and John Weld, he won $59,793 in 61 racing starts. He had the highest preliminary score in eventing (158.36) and also placed 11th in Freestyle. Another standing ovation, Elisa! Turkomani. Photo courtesy of Kate Samuels. #5 (total score: 194.97): Kate Samuels and Turkomani, a 2013 16.1-hand dark bay gelding (Colonel John X Gold Dust, by Forest Wildcat) owned by the rider. Bred in Kentucky by Doug and Felicia Branham, he won $26,020 in 29 racing starts. They also finished 6th in show jumping. The EN family couldn’t be prouder of Kate and Turkey. Represent! Today’s Finale continues throughout the day and features the top five finishers in each discipline competing for the overall championship in that division. At the day’s conclusion, fans get to choose via text vote who among the 10 division champions will be named America’s Most Wanted Thoroughbred! Ready to watch? The livestream will be carried on the USEF Network. Use the promo code “TBMakeover18” to claim your free 12-month USEF Fan Membership, which gives you access to all US Equestrian services (except for the ability to compete at a USEF show). You can also sign up to receive email alerts about division start times, order of go, how to vote, and when it’s time to cast your vote! The Makeover concludes tomorrow with a not-to-be-missed Masterclass — see more info here. Go OTTBs. Go Eventing!